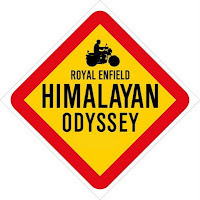 The eighth edition of the annual an endurance rally of motorcyclists Himalayan Odyssey was flagged off at New Delhi today. 72 enthusiastic and adventurous mobike riders are taking part in the rally that would take them along the hilly terrain of Ladakh region in Jammu and Kashmir. The rally is organized by Chennai-based makers of the famed motorcycles Royal Enfield. "We are doing our eight Himalayan Odyssey trip to the highest motorable road in the world. We have got 72 riders, all set ready to go getting blessed by the Lamas, taking off on three weeks of creating some of the best memories in their life," Padmanabhan said. Like 2010, the route this year moves via Keylong to Sarchu, Ladakh and then Khardung La. 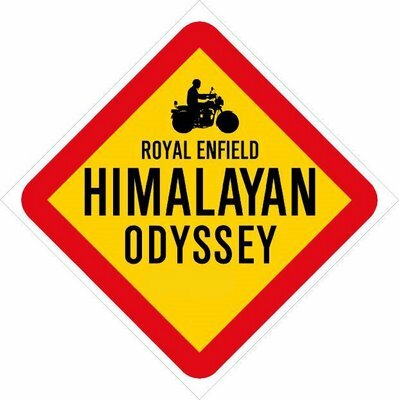 However, the novel feature of this year's ride is that, the riders will ride on towards Nubra and pay tribute to the earthy vale of Nubra by unfurling the Royal Enfield colours on its sand dunes. The return journey would also explore the Lahaul Spiti region through Debring and Kaza before heading back to the plains via Narkanda. The participants were an excited lot on their part and too keen to complete this daring expedition. "Over the bike ride, I was really looking forward to it, prepared for several months, meaning look forward it from several months. I am really glad to go for it. This is the first time I am headed towards Ladakh and that too on a bike," a participantJyoti Thomas Philip, said. This year Himalayan Odyssey has a couple of partners joining this extraordinary trip to get a taste of the Himalayan adventure. Mahindra Adventure is the official SUV partner for the ride and their vehicles shall accompany the riders throughout the journey serving as back up vehicles for ferrying media and for evacuation duties if required. Motul, the official lubricant partner, will keep the motorcycles fit and well 'oiled' for this journey. Closing the address Dr Venki added, "I would like to wish the riders a great time on the Himalayan Odyssey and shall ask all of you present here to wish them a thrilling and safe trip. Godspeed."